Many countries do not have official GOVERNMENT IDENTITY PAPERS, but Peru does. Yet many children and adults, especially in poor areas, do not have them. This will be a great handicap as they grow up. For example, they won’t be able to find proper work, receive medical treatment, gain educational qualifications, or drive a car. Yet many parents are reluctant to take the necessary steps to provide their children with a formal identity... they don’t know how to fill in the forms, it takes too much time and they can’t miss work, it costs too much, they don’t live near the child’s place of birth, and a host of other reasons. It is estimated that one third of children in Peru do not have their papers, the majority being among the poor, who then get further disadvantaged. The government has a programme aimed at the problem, but parents are not taking it up. 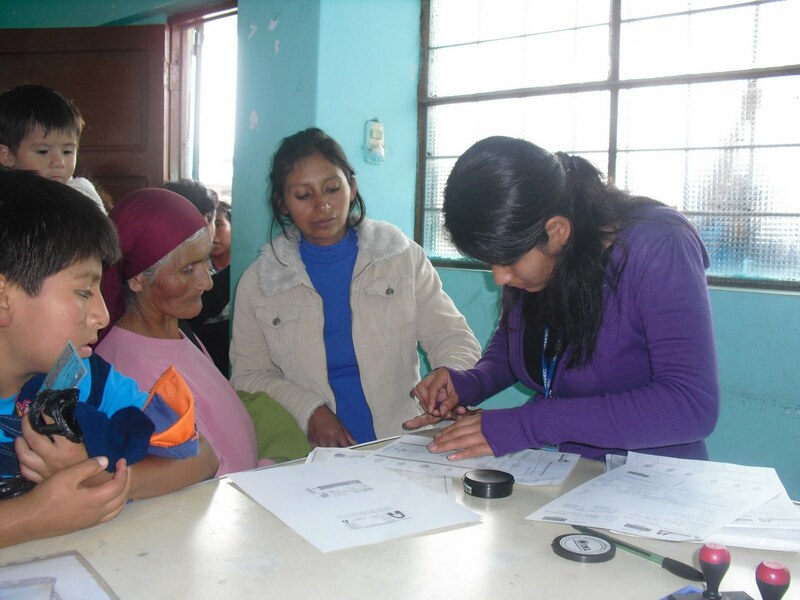 Now the Diocese, through its NGO, COMMUNION-PERU, is involved in helping parents and educating them about the importance of their children being registered. In its first campaign the Diocese helped 415 children and some adults to get their official papers, their DNI, as it is called. The work is led by the Diocesan Social Worker, Erika Montoya, and the 415 represent much hard, dedicated work. But success breeds success, and the next round should be a little easier as many parents, seeing what has been done for their neighbours’ children, are asking for the same help. Well done Erika and her team of volunteers. There will be two new deacons in the South of Peru, LUIS VIZCARRA and JUAN MARCOS AYALA. 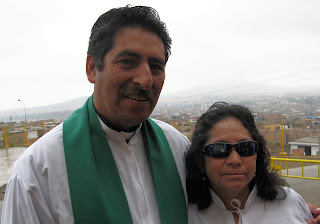 The date of their ordination has been set for Saturday, July 31 in Cristo Redentor, Arequipa. Both ordinands have been trained in the Diocesan Seminary in Arequipa. Luis will continue to serve in the Mission Santa María Magdalena, Juliaca, and Juan Marcos in Mission San Lucas and Mission Santiago Apóstol, both in Arequipa. Juan Marcos is perhaps better known to those who have visited Arequipa as the owner of the Hostal Paraiso, together with his wife Vicki, where visiting mission teams stay. He was converted during the visit of one of the first teams to visit Arequipa several years ago. For the past few months Juan Marcos has been ministering in Santiago Ap. and has drawn together a growing congregation. He can be seen in the photo with the congregation in the half built church. Nestor Mogollón, another lay minister who assists Juan Marcos, can be seen in the front right of the photo. These are the first Anglican ordinations in Arequipa and the first outside Lima. The San Mateo (St Matthew) Mission and School don't have a church, but they do have a piece of land, and there the people meet to worship our Lord and God. Padre Jorge Aguilar is the parish priest, assisted by Padre Jesus Manuel Mejia, and Brother Jerry Acosta, a lay minister. Sundays begin with catechism class at 9am, preparing candidates for Baptism, First Communion and Confirmation. Then they get ready for the celebration of the Holy Eucharist at 10.30am. Last Sunday, 8th November 2009, was a special day, because parents and children of the School were presenting an icon of the evangelist and apostle, St Matthew, for the chapel. There's a great affection for the chapel, even though it's no more than an empty building lot. But it's been made beautiful and the area with the altar-table and lectern have been finished with cement, so with the flowers and banners, its a worthy place for God's people. Brother Jerry was an evangelical pastor who, with his family, have become Anglicans. We are blessed to have his experience as a church planter and preacher, and he is delighted to have the liturgy and commitment to social outreach. Padre Jesus was a Roman Catholic priest who, with his family, have become Anglicans. We are blessed to have his experience as a parish priest and educator, and he is delighted to have the Scriptures opened in a new way. And all of the team work together in wonderful harmony, pooling their gifts and experience. Anglicanism is truly blessed to have a breadth and openness which allows God's children to use their gifts together in this way. Fr Mike and Linda Chapman have been called to lead mission and church planting work in south-central Peru. At present they are fund raising in the US under the cover of SAMS. 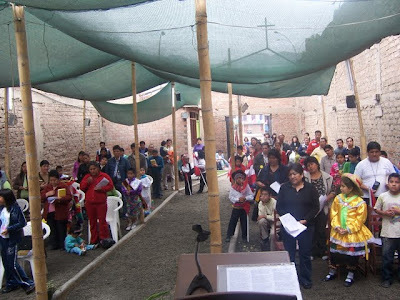 Their responsibility will be to plant a new diocese in the region of Ica, Ayacucho and Huancayo. 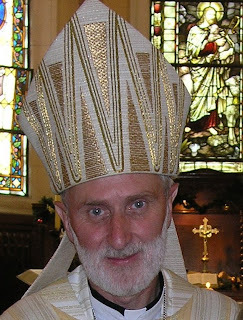 Fr Mike will stand in the episcopal election before Easter 2010, and if elected will be sent as a missionary bishop. He is deeply committed to mission work and is a gifted evangelist and teacher, and Linda has a ministry of prayer and intercession. 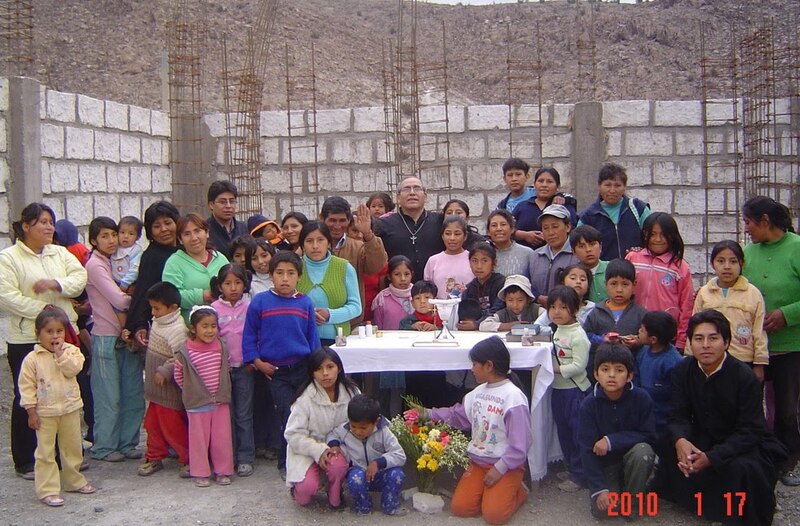 They came to Peru in 2008 and were involved with the parishes and missions of Lima. Fr Mike led a clergy retreat and is loved and respected by many in the Diocese. SUSAN KERR 972 618 0222. 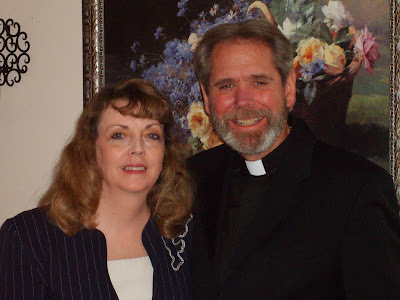 To support Fr Mike and Linda you will be enabling the advance in mission of God's kingdom in Peru. Padre Misael and Claudia Varillas are being sent to Ica to develop mission work in what will become eventually a new diocese. They have responded to God's call and after more than ten years in charge of Cristo Redentor in south Lima will soon be on their way to take up this exciting challenge. They stand out for me as the right people to send, because of their faithfulness to the Lord and his Church and their experience. They love the Lord, the Gospel and his Church, and their loyalty and willingness to preach and serve in loving obedience is an example. When I asked them formally if they would go, they responded with an immediate 'Yes' and thanked me for the privilege! It is our intention is to send others with them and we are praying for discernment about the right people. They will work with Padre Mike and Linda Chapman, who are coming from the Church in the USA to work in Ica and are at present doing deputation work to raise funds. Manpower and money are two challenges which always accompany mission.... who to send and how to support them. So we praying not only for the right people to send with them, but also that dioceses, churches and individuals will be willing to commit to support them. It is a wonderful opportunity for the Diocese too and one we want to take with both hands, giving support in every way we can - with teams going down to help, and special collections and prayer. It is an emotional time as Padre Misael and Claudia say farewell to their two congregations, but also one of great excitement. All their children are grown up, except for Miriam who has just finished school and is beginning university, and her older brothers and sisters will have the special task of looking after her. Our mission work began in Ica two years ago, following the devastating earth quake on August 15th. The Diocese responded by sending teams of people to help those who were so dreadfully effected. We set up soup kitchens and medical posts and stood alongside the people in their hour of need. As they saw the Anglican Church's response, they asked us to begin worship services, and eventually to stay there with them as their church. We have tried to do that, even though for the past year we have only been able to send clergy and lay ministers from Lima on a regular basis. We have known it has not been enough and that there has been the need of a permanent presence, with leadership and an ongoing commitment. Now that step is being taken and for that we thank God and offer it all to him. Padre Misael and Claudia have been at Cristo Redentor for over ten years, to begin with as a lay minister, and the daughter church, San Pedro, which they began and built themselves, and he is also the Regional Vicar (Area Dean) of South Lima. 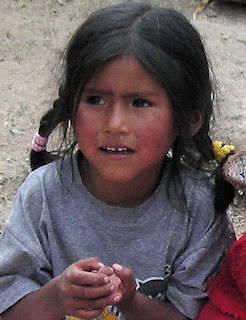 This short presentation of slides shows a little of the suffering of the children of Peru's Alteplano (High Plains). The cold this year has been intense. The children and elderly are particularly vulnerable because of malnutrition. Pneumonia has taken the lives of more children in the first half of this year than usually die in any one year. The Anglican Church has a mission in Juliaca which is working with others to alleviate the suffering. Puno is one of the poorest areas of South America and the problem is vast. We are sending warm clothes from Lima and providing food for families, but our resources are few. Thank you to "USPG-Anglicans in Mission" of London for their support. 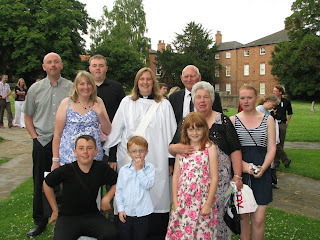 Stefany and Steven Acosta were baptised in the Cathedral on Sunday (19th July). 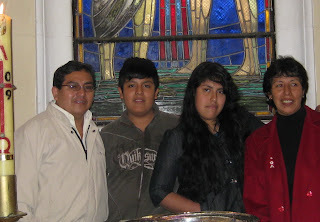 In the photo they are with their parents, Jerry and Edith, in the baptistry after the service. Jerry is a former evangelical pastor and is in preparation to become a priest. Edith is a seminarian and hopes to become a deacon. They run the mission Jesus Source of Life in north Lima. Edith is the sister of Padre Misael Varillas, the parish priest of Cristo Redentor and San Pedro in south Lima. Their father was a Pentecostal evangelist who rode on horse back evangelising the villages in the region of Huaraz in northern Peru. All of his family are involved in one way or another in the Lord's work. It was a joy to baptise Stefany and Steven, the next generation of the Varillas family. There are some good photos of the immediate response to deliver clothing and blankets to children and elderly people suffering from cold and malnutrition in southern Peru. They were taken in Caracoto, one of the numerous small villages near Juliaca. of St Mary Magdalene's Church, Juliaca, published by Padre Ruben and Lay Minister Luis. Although the Blog is in Spanish it is well worth looking at. One of the members of their congregation, Patty, is a social worker and has taken them out to the village. Padre Ruben asks us to pray for those who are especially vulnerable to the very cold weather, elderly people and children. DONATION RECEIVED. We have received a donation in response to our appeal, from the mission society USPG in London, of £500. We are grateful to them for their immediate and generous support. Help is urgently needed for children dying of hypothermia and malnutrition in Puno, one of Peru’s poorest regions. San Mateo School in Lima gathered the gifts especially for the suffering children. It has been handed over to Santa Maria Magdalena Anglican Church, Juliaca, to be distributed immediately to children in the area. The BBC published an article on Sunday 12th July about children dying in Peru's very harsh winter. The article can be found at: http://news.bbc.co.uk/2/hi/americas/8146995.stm. It states that about 250 children under the age of five have already died in the harsh conditions, and the winter is not halfway through yet. The region of Puno is one of the poorest in South America. Many children live in primitive conditions and often are malnourished, which makes them all the more vulnerable to hypothermia. Prolonged exposure to the cold causes respiratory infections like pneumonia. At the same time there is a lack of healthcare and basic services. I can testify to the severe conditions and have rarely experienced such cold ever in my life. I was properly fed and dressed, but still have come back with my hands and legs red raw and chapped... and I saw children with sandals and T-shirts. At about 3.30pm each day the sun begins to lose its warmth and a terrible cold sets in. The freezing temperatures have been accompanied by torrential rain, snow, hail, and strong winds, and although the winter is only halfway through it has killed more children than usually die in any one year. In our Juliaca church is a social worker who works in the outlying villages where the suffering is at its worst. She is taking our clergy there to see how most effectively to distribute the help to the most needy children. The government has declared a state of emergency and clothing, blankets and food are being collected in tents specially set up in cities throughout the country. SEND DONATIONS TO "PERU’S CHILDREN’S EMERGENCY"
Six visiting clergy were present for the institution of the Rev Ruben Mancilla as parish priest of Juliaca, and of his assistant, Lay Minister Luis Vizcarra. 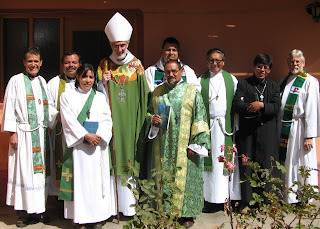 From left to right in the photo they are: Rev Juan Carlos Revilla (Arequipa, who planted the church), Rev Ruben Mancilla (Juliaca, newly instituted), Rev Deacon María Andía (Arequipa), the Bishop, Rev Deacon Pastor Zevallos (Lima - Director of NGO), Rev Anderson Sanchez (Lima - at back in photo), Rev Alejandro Mesco (Cabanaconde), Lay Minister Luis Vizcarra (Juliaca, who has faithfully cared for the church), Rev Ronald Robertson (Rector of Seminary in Arequipa). The Institution Eucharist was attended by sixty people and during the service there were eight confirmations, a sign of things to come. The confirmations made a great impact on many people, some never having seen one before, and before people went home there was already a list of people to be prepared in time for the Bishop's next visit in October. In his sermon the Bishop spoke of the ministries of evangelists, teachers and pastors, three of the ministries spoken of by Paul in his letter to the Ephesians (4.11): evangelists - proclaiming the Gospel and helping people to come to faith in Christ and give their lives to him; teachers - setting out the faith and its meaning; pastors - guiding and strengthening people in their walk with Christ. All three, he said, are needed in parish ministry. Pray for Ruben and Luis. The visit to Cabanconde in the Colca Canyon was marked by visits to homes, prayer, Bible Study (Lectio Divina), silence and the stunning beauty of God's creation. It is without doubt one of the most beautiful places I know and our mission centre, built of stone, is worthy of it. The vision we began with had three aspects to it: a place of prayer, community life and mission springing from service, and all three are beginning to happen. Padre Alejandro and Deacon Justo, together with Alejandro's wife Doris, are known and loved in this small market town. Children rush up to hug Padre Alejandro and all of them know him because of his visits to the schools, and because of that the parents too. They also help in the fields during the time of sewing and reaping when there is so much to do, and people are amazed and grateful to see clergy hard at work alongside them. Deacon Justo is very quiet and reserved, but he faithfully visits peoples' homes and they seek him out to have him visit and pray with them; and Doris joins him in this, especially among the womenfolk. It is good to have a team of ministers; they can share the load and the dangerous journeys along mountain paths. It is our hope that every visit to the mountain villages will provide an opportunity for other clergy, seminarians and lay workers - from Lima and Arequipa - to go with them, and for others to stay behind and maintain the ministry in Cabanaconde while they're away. Before October of this year we hope to have an "outdoor chapel" which will provide a bigger place for the growing congregation to meet. At present they meet in the central dining/living room of the house. But it's already full, and for the Eucharist last Thursday (9th June) during my visit, there were over fifty people. The "outdoor chapel" will have a sanctuary built of stone with a thatched roof, and the nave will be made of an open wooden frame with a thatched roof. We have also made moves to acquire the next door plot of land, which we hope will enable us to expand our work and also bring in some income to maintain the mission, with stone bungalows that can be used for retreats and rest. 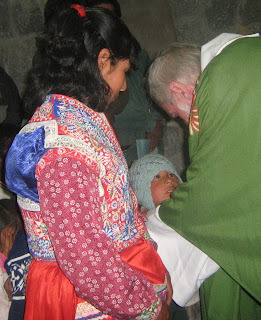 Five churches, two schools and two children's homes are being visited by the Bishop in a ten day tour of Arequipa, the Colca Canyon and Juliaca in the south of the Diocese. The visits began on 3rd July and the Bishop is accompanied by Padre Ruben Mancilla, who will be instituted at parish priest of St Mary Magdalene Mission Church, Juliaca, on 12th July, and Deacon Pastor Zevallos, who is in charge of the Diocese's social outreach work. The photograph shows the visit to the Santiago Apostol Mission (Mission of St James the Apostle) in the outskirts of Arequipa, where a new church is being built. Two members of the community are showing Padre Juan Carlos, Padre Ruben and the Bishop the plans. The next phase of the building will be to erect the walls, which will be built of the local white "sillar" stone. Arequipa is called "the white city" because so many of its buildings have been built of this stone. At the Eucharist there this evening, the Bishop preached on the building up of the Church (the people), and asked the congregation what they thought should happen in the new church (building): "a medical centre!" came the reply from one lady. It wasn't exactly what I was expecting, but I think it was a right answer and that Jesus would have approved! On Monday 6th the team drives to the Colca Canyon to visit the Mission of San Felipe (St Philip) in Cabanaconde. Here they will spend three days with Padre Alejandro Mesco and his wife Doris, and Deacon Justo Maqque. On Friday 10th they drive on to Juliaca, a city high on the Alteplano, for the celebration of Padre Ruben and Lay Minister Luis Vizcarra's institution. These two young ministers have the task of developing mission work in this new area for the Diocese. It is a great challenge for them both, but their willingness to take it up is a wonderful testimony of faithfulness to the Lord's call and their readiness to put their lives on the line for the Gospel. The aim of the ten day trip is to visit and encourage the Church, to accompany and stand alongside the young churches, and to strengthen its mission workers, in the style of Paul and Barnabas in the early Church. Paul said to Barnabas, "Come, let us return and visit the believers﻿ in every city where we proclaimed the word of the Lord and see how they are doing." (Ac 15:36). The Diocese of Peru sends it’s loving greetings and congratulations to the Community of the Holy Cross at Rempstone, Nottingham, for the purchase of their new property, and for being bold and doing the best of things in the worst of times. The Community at Rempstone prays for us regularly and we are delighted to receive the news of their new home-to-be in Costock. They bought the new property in April and it will take two years for work on it to be completed. "Jeremiah" she says, "was told to buy a field... just before the people of Judah were taken into captivity, as a sign that the Lord would restore the fortunes of Israel and Judah. She continues, "So we are looking towards the future [and this church's inscription] reminds us that sometimes it is good to be bold. 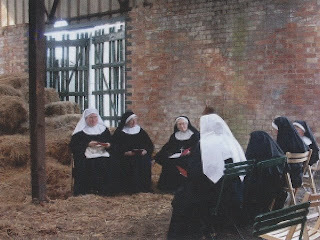 I hope it will be that we have done the best of things in the worst of times and it will be the presage of a new growth in the religious life for us and for the whole Church." What a wonderful reflection! May God bless the Community. The Diocese of Peru, its Bishop, Clergy and People, joyfully greet the Anglican Church in North America, its Archbishop Robert Duncan, its Dioceses, Bishops, Clergy and People, and our many friends who are a part of it. We wish you God’s blessing in the communion we share as members of the one Holy Catholic and Apostolic Church and in our common mission of proclaiming the Gospel message of our Lord Jesus Christ. This has been a very happy week for you with the inauguration of the new Province and we are delighted that you were able to celebrate the central Eucharist in Christ Church Plano as the guests of Fr David Roseberry and his people, with whom we have a long and close relationship in Christ. As a Diocese, we are committed, like you, to the Gospel principles on which the one Church of Christ, which includes our beloved Anglican Communion, has stood from the beginning. At this important time for Anglicans in North America, we are conscious also of faithful dioceses, bishops, clergy and people, among them many of our close friends, who remain part of the Provinces of the Episcopal Church of the United States of America and the Anglican Church of Canada. With them too we rejoice to share communion, and as a Diocese we are committed, as our Constitution states, to do everything possible in brotherly love and repentance to heal our divisions.